I love colorful mashed potatoes! 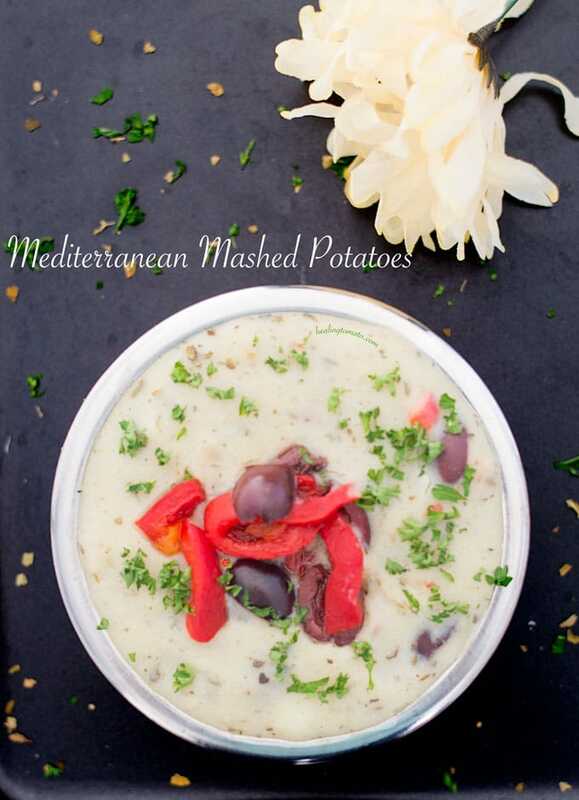 These Mediterranean mashed potatoes are so colorful and comforting. 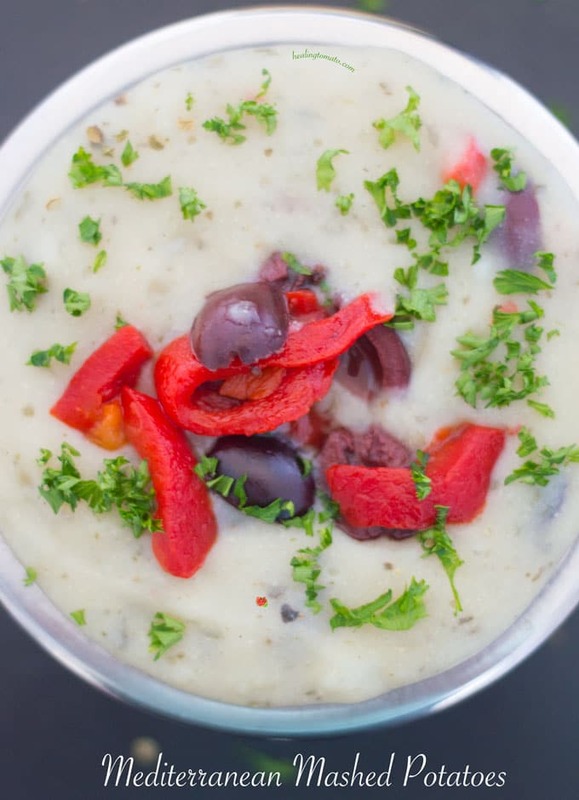 The Kalamata olives add a natural saltiness and tang to the mashed potatoes. Doesn’t that bowl just catch your eye and make you drool?? For this recipe, I used small red potatoes because I always associate red potatoes with Greek food and Mediterranean cuisine. Not sure why, but, these potatoes always have a very exotic feel. 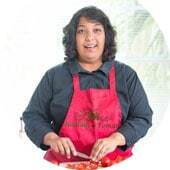 If you are cooking in the (affiliate link) Bestek Pressure cooker, the easiest way to cook them is to choose the nutritious cooking option. It cooks the potatoes fast, evenly and perfectly. 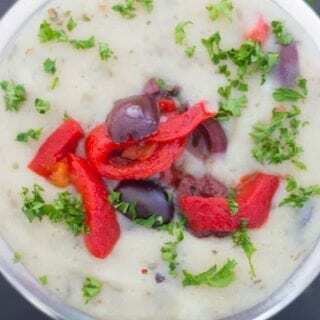 This recipe is part of my 3 ways to make vegan mashed potatoes in a pressure cooker. 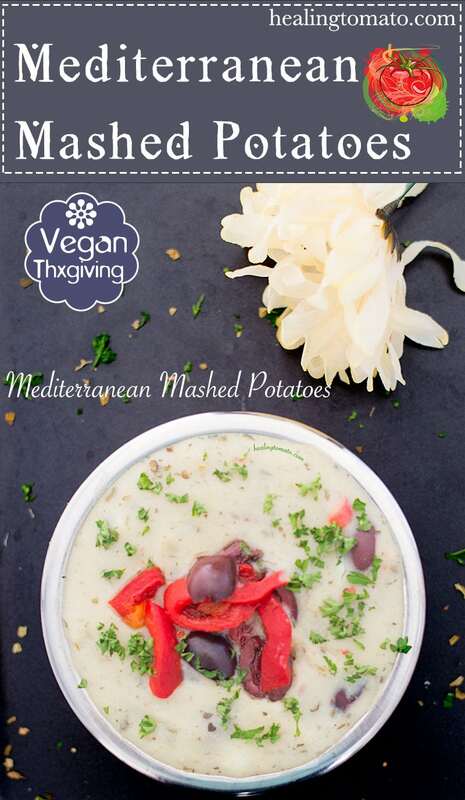 Check out my Classic Vegan Mashed Potatoes and my Vegan Mashed Sweet Potato recipe. What’s your favorite exotic ingredient to put into a mashed potato recipe? I have more recipes for a vegan Thanksgiving Feast and a complete guide to what vegans don’t eat. I didn’t have quite everything but made these on Saturday. Such a delicious combination. I would have never thought to put this together with mashed potatoes – I’m so glad you did, YUM!